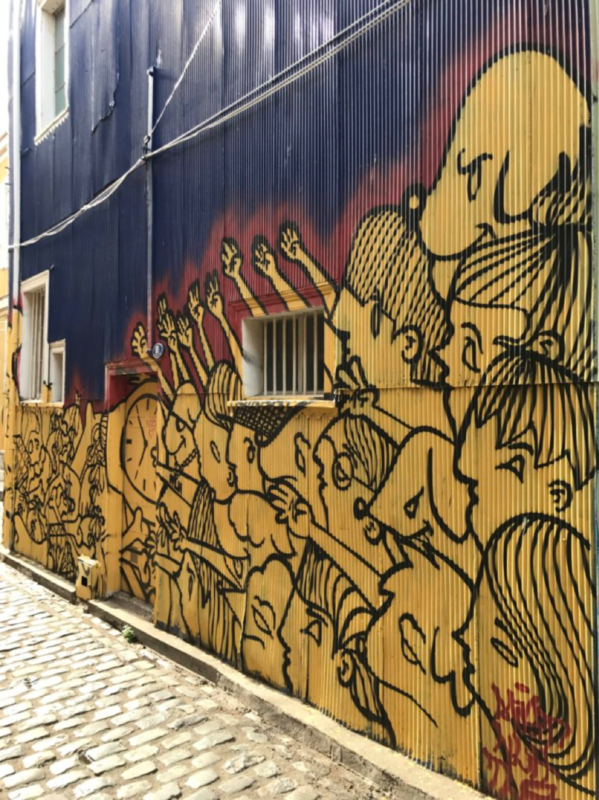 I thought Santiago had large amounts of street art until I went to Valparaiso. Their street art was street art on steroids, especially for such a small town. Take a look at a few of my favorite pieces. 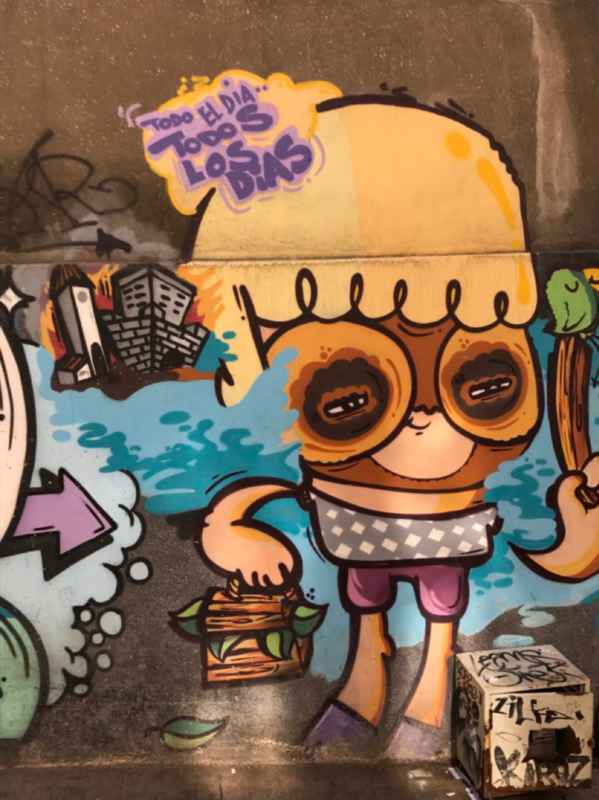 The personality of the city and town ofValparaiso are two different personalities. 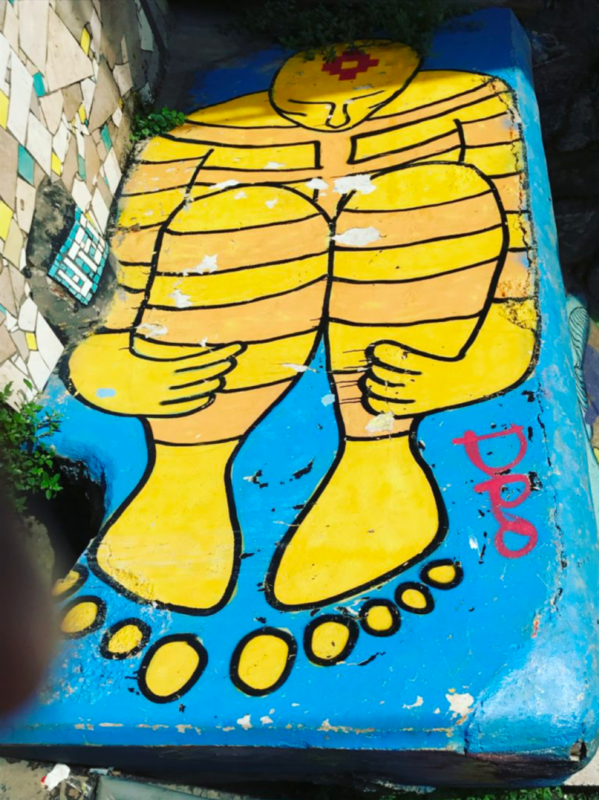 The city of Valparaiso is a bustling South American city full of hustlers, dogs, dog poop, and street vendors. The town of Valparaiso on top of the hill is different. It is quieter, more artistic, almost a quaint feel to it. The town of Valparaiso is up on a hill, and let me tell you, it is hilly as heck. As a person who puts in 10-12miles a day when on vacation walking around, those hills got to me. Luckily, Valparaiso has “ascensors” which are essentially outdoor elevators. You will find more information about them on this link. The ones that work are really cool to be on and cost between $100- $300 pesos one way, which is the equivalent of .15-.50 cents American. I will go more into detail later on within the blog. If you have decided to go to Valparaiso then you will have either come by bus or hired car.If you rode the bus then this part is for you. When you arrive at the bus terminal do not be worried, I understand it looks very shady, but it isn’t. You can’t judge a book by its cover. But know that it has free wifi- hallelujah!Second, it is a short either micro bus or taxi ride away. If you want the microbus you will need to go outside and to the right. Look for the minibus with Vina Del Maron it. Jump on that bus and it will take you to the middle of Valparaiso city for a few hundred pesos. If you decide to take the taxi the fare about $6-$8 to Plaza Sotomayor. 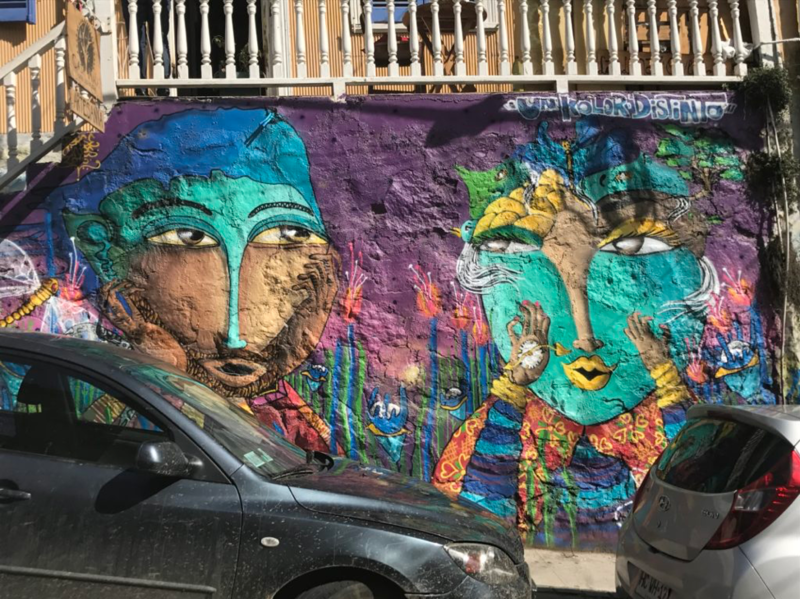 Valparaiso isa low budget travelers dream. 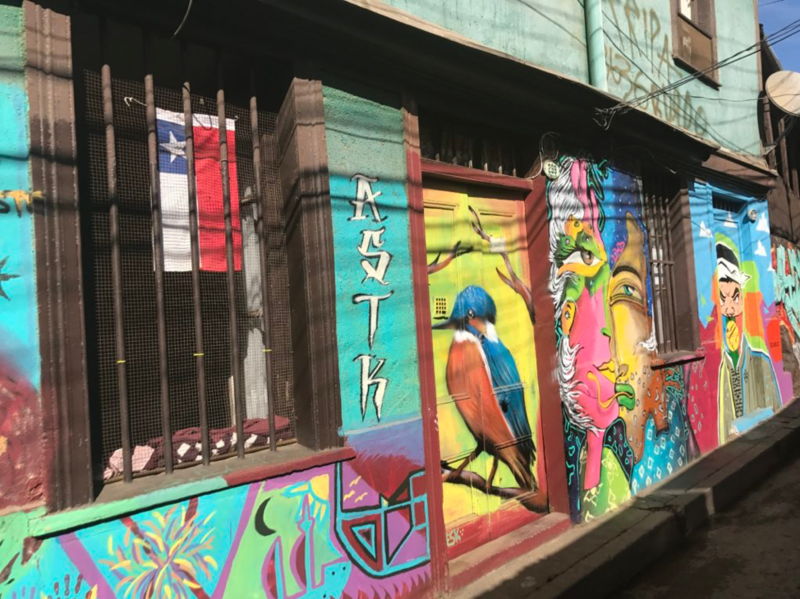 They have so many hostels around the town ofValparaiso that it will blow your mind. Here is a short list of the ones I saw. 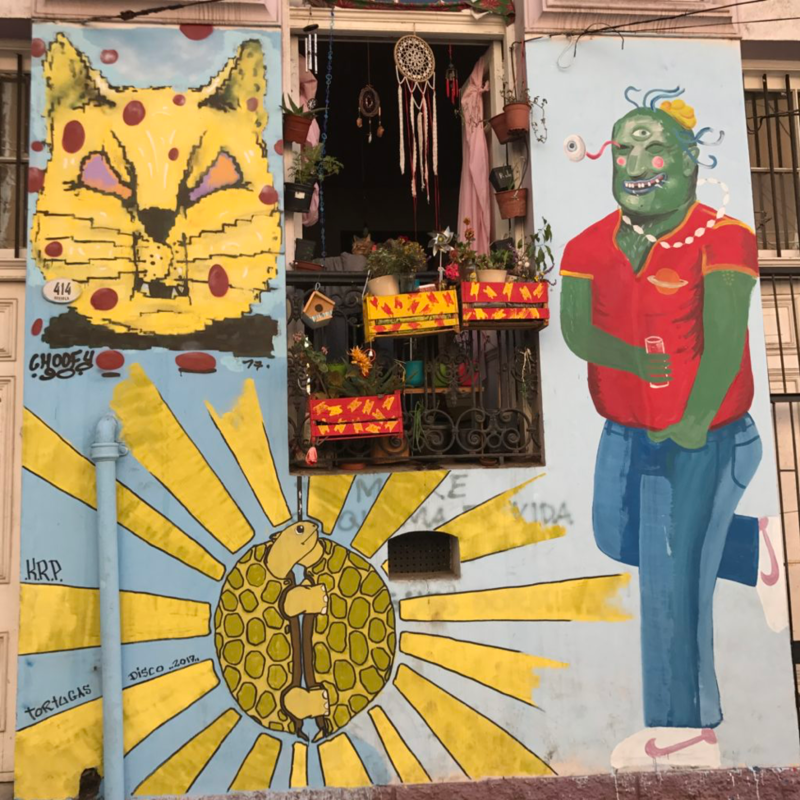 I rented an Airbnb room on Beethoven Street and it was a great deal at $15 a night, my own room, not having to lock everything up any second I was not there, and the host was gracious with giving me info on how to get aroundValparaiso and how to get to Vina. Valparasio is a great town to walk around.Cobblestone roads, quaint restaurants and stores. Vina Del Maris a short ride away. It is considered the more upscale beachy part with the beautiful high rises overlooking the water. You can either bus or metro it fromValparaiso. The metro costs 1500 pesos just for the card and then the additional money for the trip. I chose to take a microbus, and I am glad I did.It was between $490-$600 pesos each way, super easy to jump on and off of, as well as comfortable. To get onto the micro busI went to the road near the Bellavista train stop and looked for buses with Vina Del Mar on them.They have many towns listed, just look for Vina Del Mar and ask the bus driver if they are going to Vina. Vina doesn’t too many special sites to look at. Two sites I went to that were worth the 15 min walk from the bus stop where Wuff Castle and the flower clock. The flower clock is about a 5 min walk north from the Castle. The flower clock is a nice place to take pictures but that is pretty much it. I did go to this great coffee shop called the Tea Corner Cafeteria which had a phenomenal breakfast sandwich. The people working there were really nice and spoke great English. Also, they helped me gain a better understanding of Vina. If you take the microbus into Vina, I would suggest you just stand on the side of the road and look for microbuses that have Santiago on a sign, wave your hand at them and they will stop to allow you to jump on.